Each year, Partners for Equity in Child and Adolescent Health releases a Request for Proposals for one year planning grants. The goal is to develop the interest and commitment of school, medical, community, business, faith, NGOs, government and other partners, working together, to envision and develop a school based health center that provides primary medical care to the children. Most integrate mental/behavioral health care into primary care. Some provide dental care. Albany's district has recently opened an eye care center. Within the RFP you will find maps of currents School Based Health Centers. If you aren't sure, you might want to visit a center nearby. If you have questions, please contact me at 678 472-5858 or Ruth Ellis, whose information is within the RFP. 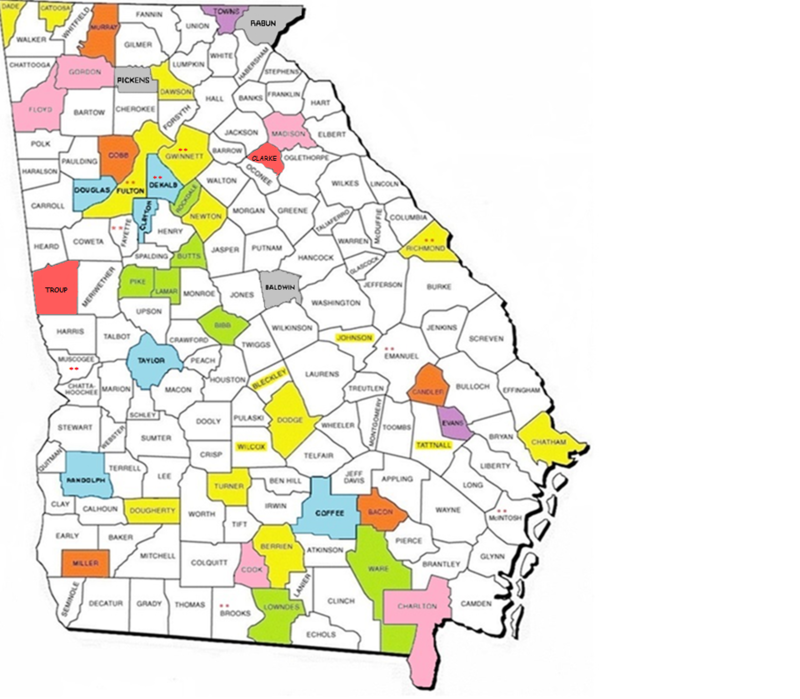 Counties highlighted in yellow received grants in 2010. Those highlighted in green in 2011. 2012 awards are highlighted in orange. 2013 awards are highlighted in blue. 2015 awards are highlighted in purple. 2016 awards are highlighted in pink. 2017 awards are highlighted in gray. 2018 awards are highlighted in salmon. Will you please forward to any schools, school nurses, social workers, counselors, superintendents, etc., you think might be interested in school based health centers and this planning grant opportunity?